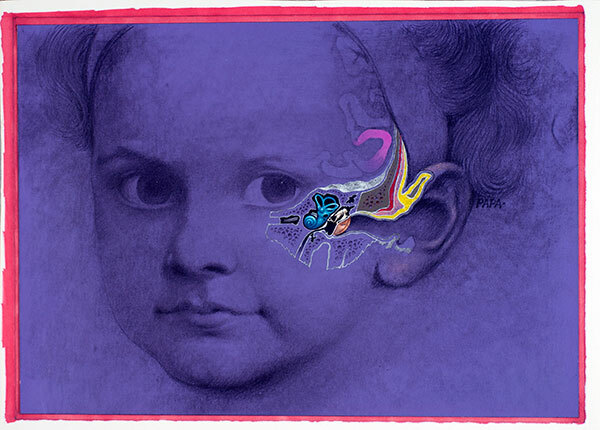 Gustave Falk, Child with Inner Ear, not dated, color pencil on paper, 8.25 x 11.75 inches. Black Mountain College Collection, gift of Merri Nordman, 2010.40.01.47. Using line as a principle means of visual expression, students explore contour, gesture, and movement drawing using a variety of media such as pencil, marker, charcoal, and drawing pens.